[php snippet=3]The Adizes Methodology™ provides a proven, systematic framework that enables your organization to successfully tackle complex challenges, attract and retain exceptional talent, generate superior financial returns, and become a dominant player in your market. Find out more about how Adizes can help you. In Leading the Leaders, Dr. Adizes helps you discover your basic management style and instructs how to compensate for your weaknesses so that you can work better with others – subordinates, peers, and those you report to – whose management styles are different from your own. Download your free sample chapter. 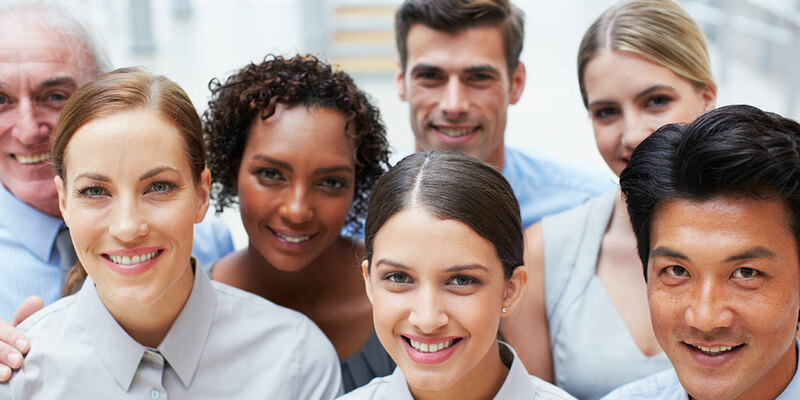 In Management / Mismanagement Styles, Dr. Adizes helps managers identify the style of real people, rather than imaginary templates, and provides tools to build a successful team of people who compliment each others’ strengths and weaknesses. Understanding your management style is fundamental knowledge for any leader. Take our Management Style Indicator and discover your style. 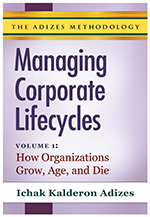 Do you know where your organization falls on the Adizes Corporate Lifecycle? Take our online assessment and find out what stage your organization is in. 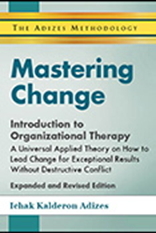 In Mastering Change – Introduction to Organizational Therapy (revised and updated edition), readers will learn Dr. Adizes’ Universal Applied Theory on how to lead change for exceptional results with collaborative leadership. This book provides a paradigm shift in how to successfully manage for outstanding, sustainable, results. In Pursuit of Prime, Dr. Adizes offers common sense, practical advice on how to recognize the danger signs and abnormal problems associated with the various stages of the corporate lifecycle, and most importantly, how to turn normal problems into opportunities. Is Your Company Structured Right? Dr. Adizes’ premise in The Ideal Executive, is that the ideal leader, manager, or executive does not and cannot exist. This book explains why we are all barking up the wrong tree, and how we can change our perception of leadership in order to find success.